This might be useful to show your students concerning CS. 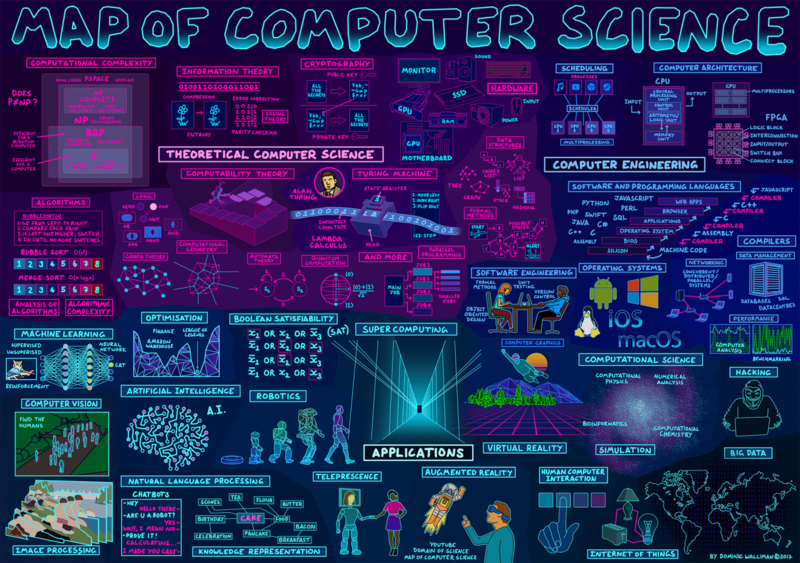 Infographic Map of Computer Science. Video with voice over of Map of Computer Science. Also, a link to the webpage with other useful infographics to help visualize complex branches of math and science.